120V 100W 5 gal. bucket heater. 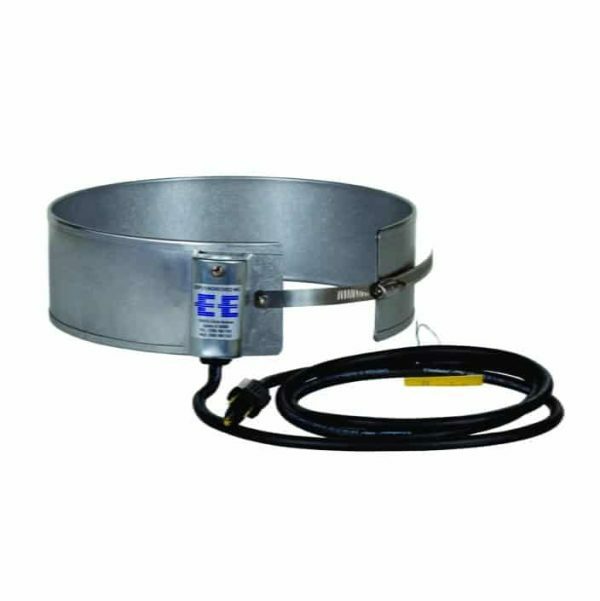 Model BEE-5R is designed for light heating tasks such as increasing the flow of honey from a circular 5 gallon METAL OR PLASTIC PAILS. BEE-5R can also be used to melt honey after it crystallizes in your pail. BEE-5R may also be used to accelerate the flow of other viscous materials, such as white grease. BEE-5R is designed to fit tapered and straight sided plastic pails. 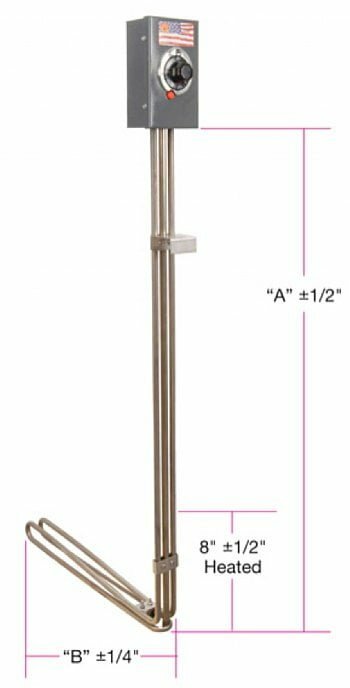 The heater clamp can adjust so that the heater fits near the base, in the middle or at the top of tapered pail. BEE-5R is RUGGED and is made of heavy duty aluminized steel. The heater is equipped with a six foot power cord and a three pin plug for electrically grounded operation. 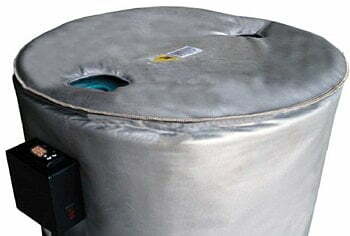 A stainless steel junction box covers the electrical connection of power cord and the heater. The temperature of the band while in contact with a covered pail full of water is 165℉. You must monitor the heat at all times. BEE-5R is to be used to heat NON-FLAMMABLE, NON-COMBUSTIBLE materials only in a NON-HAZARDOUS area. The WRAP-IT-HEAT Model BEE-5R Pail Heater is U.L. Listed and C.S.A. Certified.